The Central Regional Police Command has arrested a driver believed to be from the camp of the National Democratic Congress (NDC) flagbearer hopeful, Alban Bagbin, after he knocked down and killed two people on Sunday. 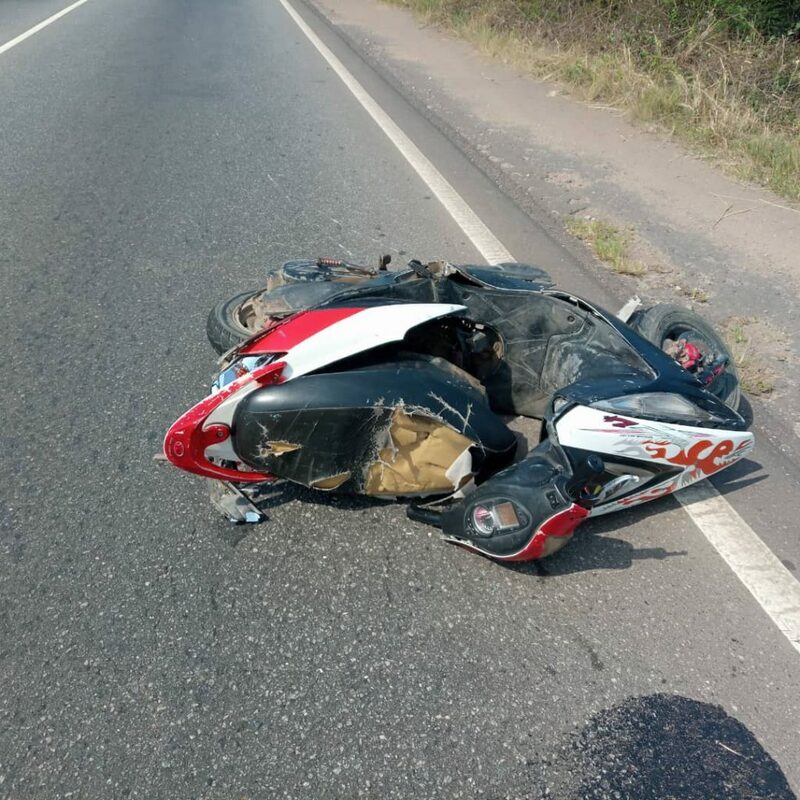 The suspect, Charles Owusu, according to the police, was returning to Accra from Cape Coast, and on reaching a section of the road between Apam junction and Winneba roundabout, he knocked down two male adults who were on an unregistered motorbike. 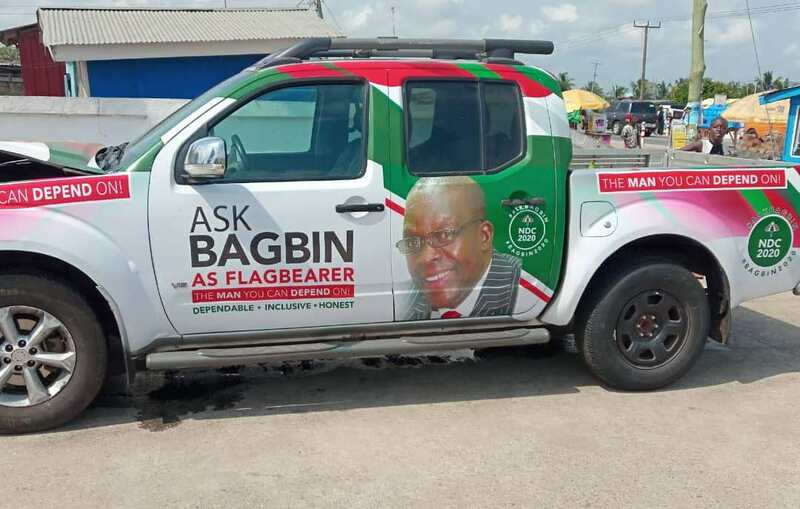 The Central Regional Police Command has commenced investigations into the matter which involved an Alban Bagbin branded Nissan pickup with registration number GT 8265-16. The Police told Citi News that Charles Owusu is assisting in the investigation. In an interview with Citi News, the Central Regional Police Public Relations Officer (PRO), DSP Irene Oppong, explained that the two persons were conveyed to the Trauma and Specialist hospital where they were pronounced dead and kept in the morgue at Winneba. The Motorbike that was crushed. She said the deceased persons were found lying unconscious in a pool of blood. She said the driver was handed over to the Winneba Police Station together with the accident vehicle and motorbike for further investigation. “After the accident, we quickly brought in the Winneba Fire Service to wash the blood on the accident scene… The occupant of the Alban Bagbin campaign car has been handed over to the Police pending investigation,” DSP Irene Oppong added. The Accra-Cape Coast highway accounted for more than 60% of all road crashes recorded in 2017, making it the most dangerous road corridor in the Central Region, the National Road Safety Commission (NRSC) has said. The region according to Mrs. Affotey-Annang, acting Central Regional Manager of the Commission, recorded an increase in road accidents from 788 in 2016 to 978 in 2017, representing 23.7 per cent. This figure involved over 1,402 vehicles and 307 pedestrians’ knockdowns through which 193 and 1,545 were killed and injured respectively.